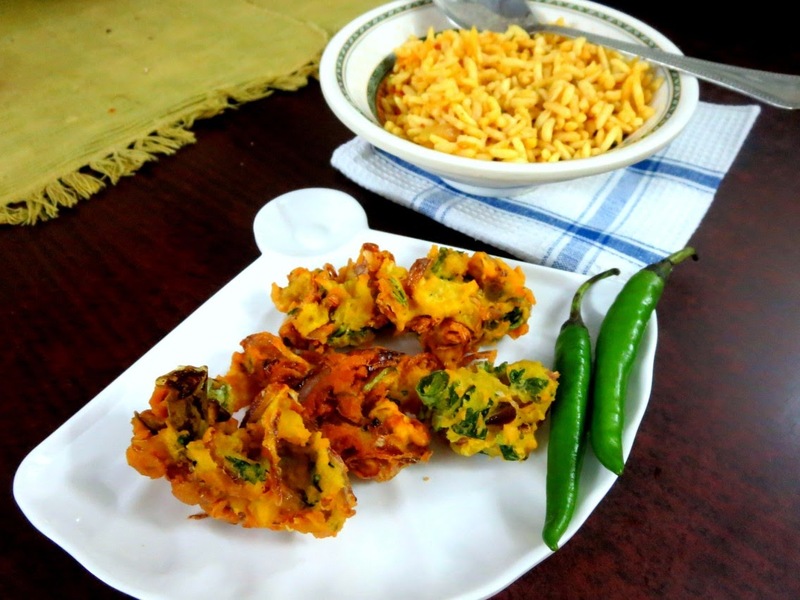 For the third and final day of making from the How to make Perfect Series, I was so tempted to make these Onion Bhajis. 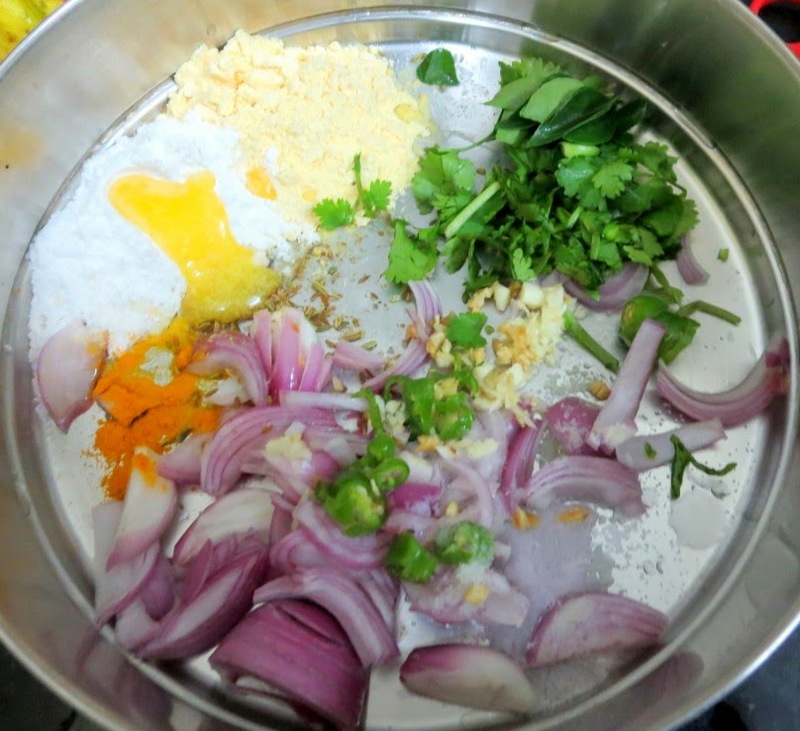 I know you must be thinking it is funny that I should try out Indian recipe that seem to have been perfected by a foreigner. Yes I wanted to actually check how the taste might have been in the final dish. On that angle, this is really very enlightening. 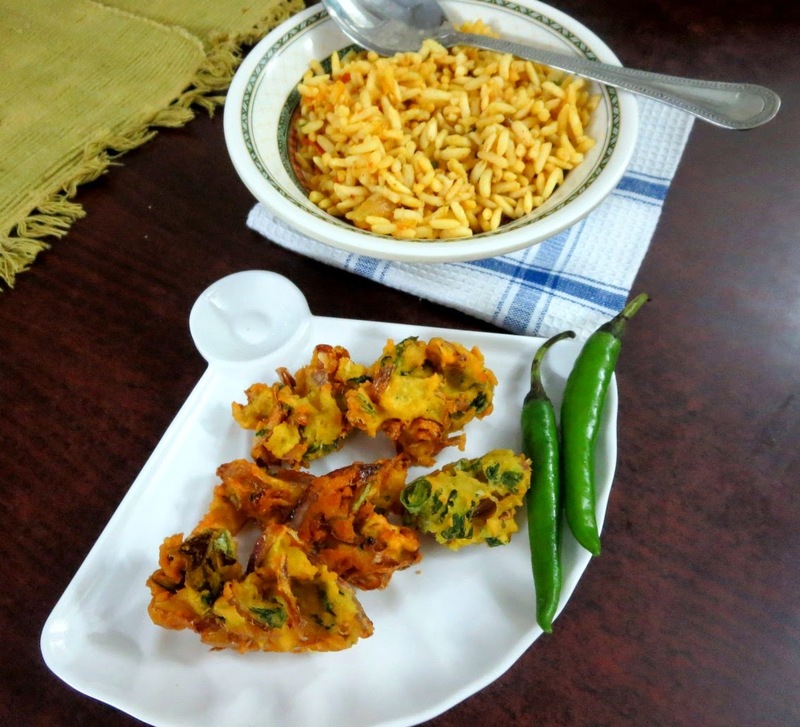 On that count, I haven't actually shared the perfect Onion pakoras that I make. Yes even if I claim it myself, I know those turn out very crisp and chunky. The addition of hot oil/ghee and Fried gram powder makes all the difference. I was surprised I have not shared that yet. Anyway now it's a chance for this different take of the recipe to be shared. 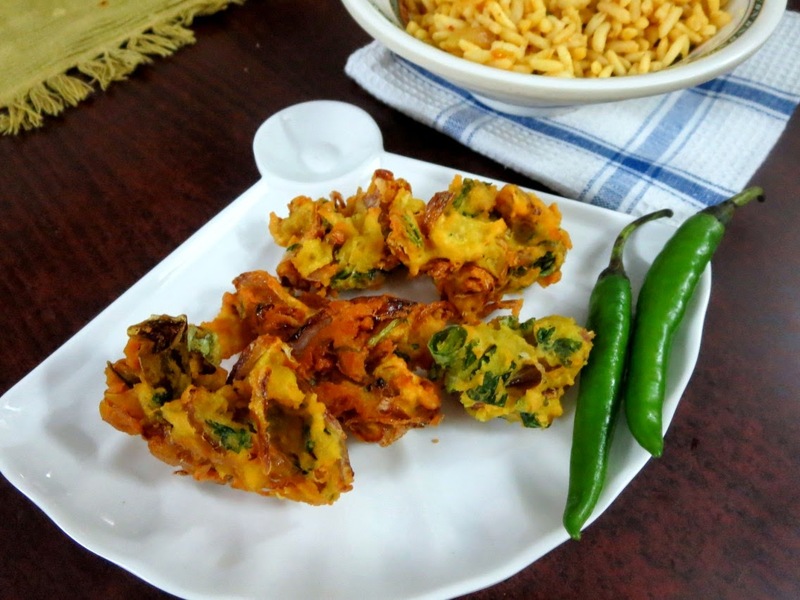 First off, Bajjis, Pakodas/ Pakoras are common dishes across all states of India. 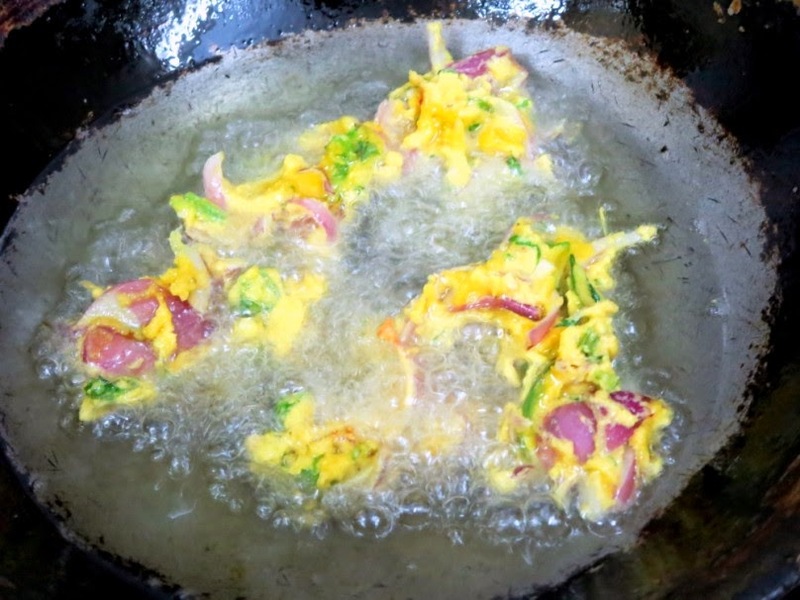 From my own terminology, Pakodas are those where the main ingredient is coated with a stiff layer of either Gram flour, Rice flour or Maida. 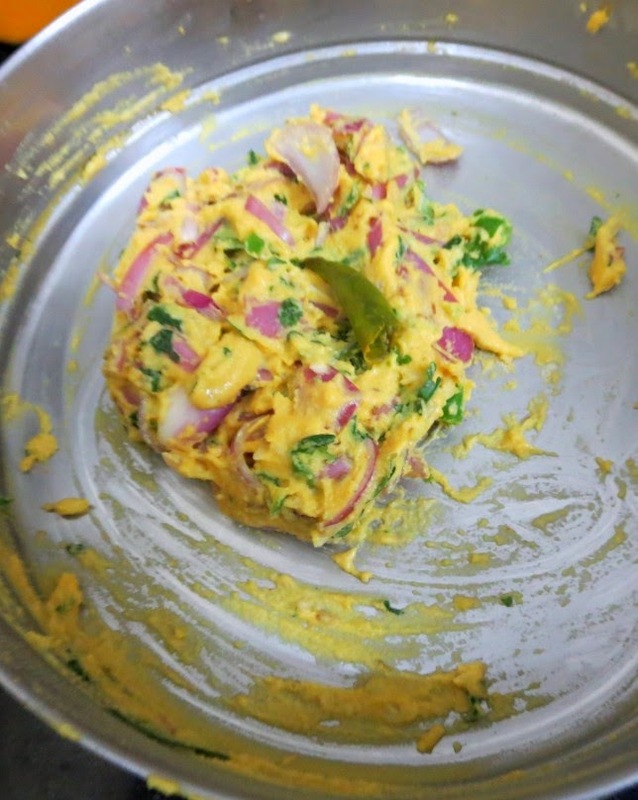 When it is stuff inside batter and not seen, it's called Bajjis. 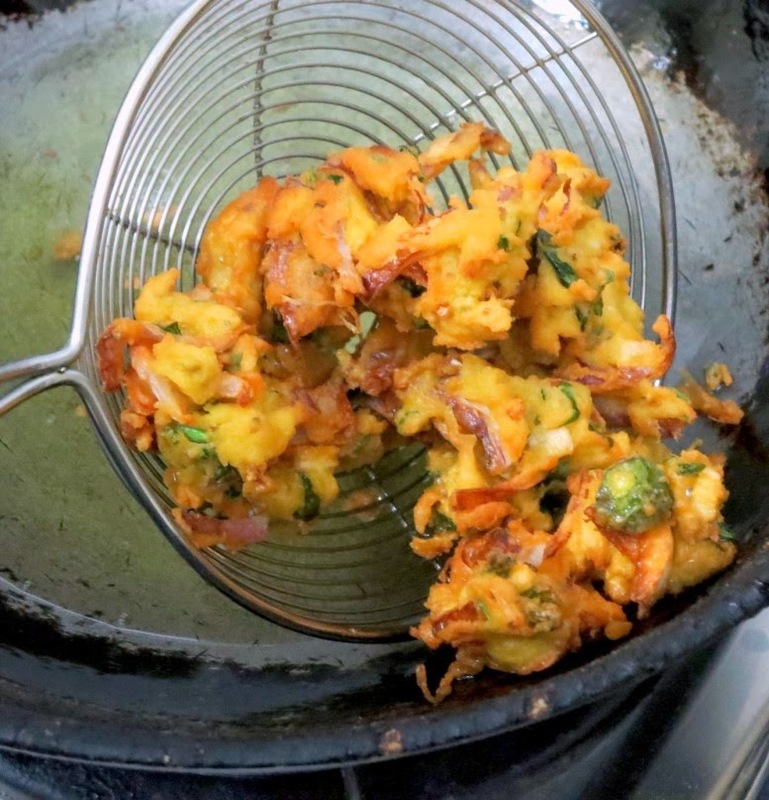 So the recipe shared by Felicity Cloake, typically shows the onions being visible, so I end up calling these as Pakoras. Coming to the recipe, though I was tempted to make these, I was planning on something else. However situation demanded I make Onion pakodas and I thought I would make the best use of the chance. However in general these two are used interchangeably and there is no hard and fast rule to fix this. Anyway after making this recipe, couple of things I made note of was, I didn't like the lemon juice being added. It made the batter a bit more sour for my liking. Fennel, Garlic and Ginger adds up to the overall taste. 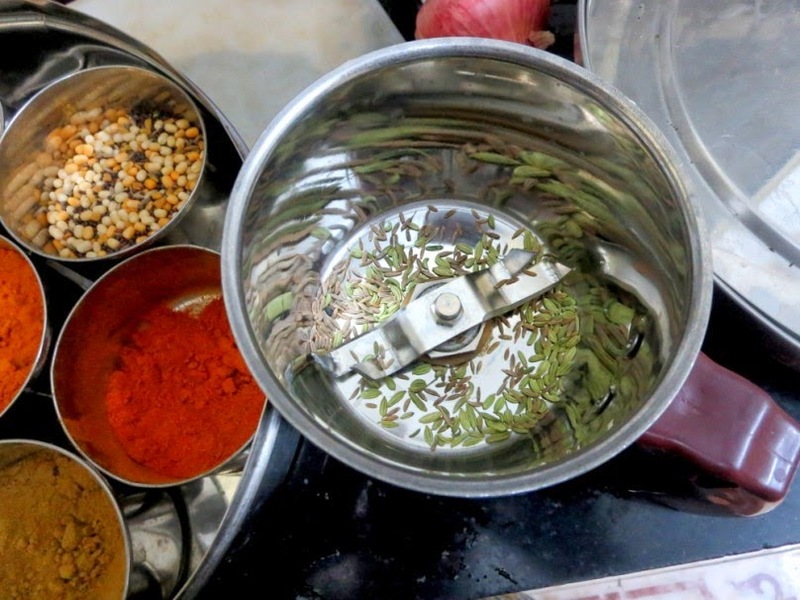 Heat the oil in a kadai. To check if the oil is hot, drop a small bob of batter, it should sizzle as it hits the oil, then float. Once the oil is hot, you can drop the batter by using a spoon and dropping it gently. 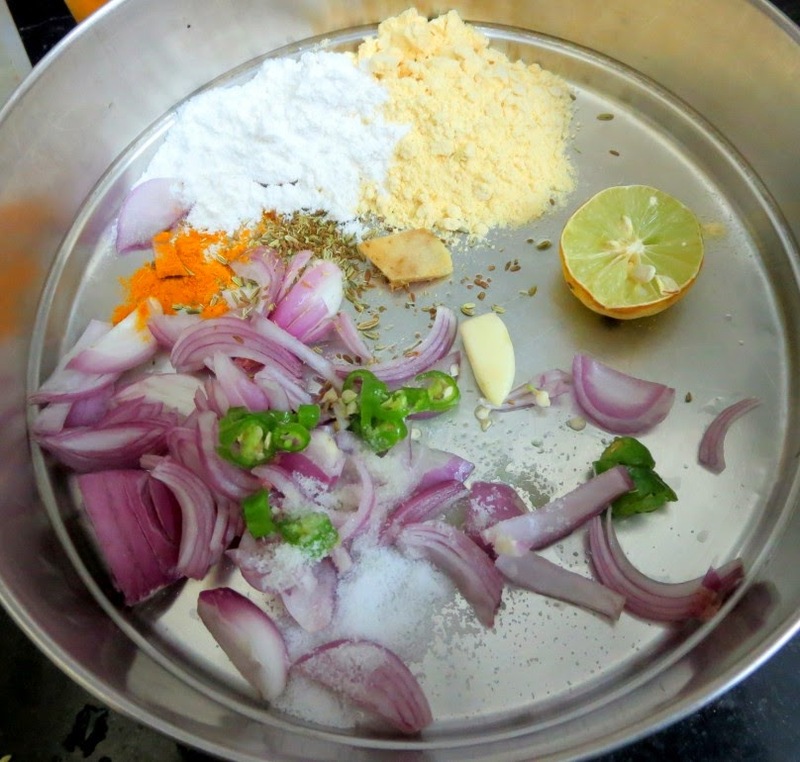 Make sure not to overcrowd the pan/kadai. Cook for about four minutes, turning occasionally, until crisp and golden, then drain on a kitche towel. The original recipe calls for this to be made as balls or bajjis. However I made these as pakodas. Next time round, I may skip the lemon juice. With this we end this month's edition of BM and we are excited about the next month! Stay tuned for the month long marathon!